The original version of this article, by Harry Verhoeven, appeared on ChinaDialogue. The growing intensification of economic, political and social ties between China and Africa in the last 15 years is often told as a story of copper, petrodollars, emerging Chinatowns, and bilateral visits by heads of state. 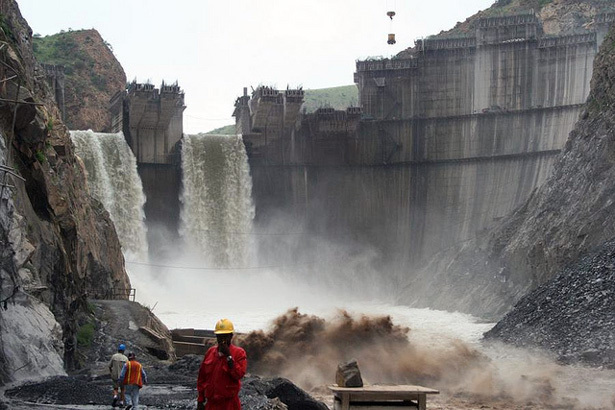 But perhaps the most significant way in which Chinese actors are contributing to an evolving African political-economic landscape is very seldom discussed: an unprecedented wave of hydro-infrastructure construction is taking place. Beijing is a key partner for the construction of big dams, the expansion of irrigation systems, and the building of transportation canals. This is recalibrating the domestic political economies of major African states and altering how they relate to each other. Nowhere has China’s return to Africa been more consequential from a geopolitical water-angle than in the Nile Basin, which covers 11 African states. For decades, the geopolitics of the Nile have been violent yet predictable. Despite being downstream, Egypt has for generations been the “hydro-hegemon”: the country with the best economy; the largest population; the strongest military forces; the most international prestige; and the closest partnerships with global superpowers. Photo Credit: The Tekeze Dam, Ethiopia, courtesy of International Rivers.